San Joaquin General Hospital, a Level III Trauma Center, provides a full range of inpatient services. The hospital is active in providing education for health professionals through post-graduate residency programs and participates in clinical affiliation agreements for training programs in a variety of health professions. With the use of one of the most advanced technologies, the hospital performs surgeries such as stomach and lung cancer to gynecological procedures with the da Vinci Xi Surgical System. If you are looking for an opportunity to learn and grown in your field, come join our team of professionals!  The San Joaquin General Hospital's OR is a 24/7 department. The Operating Room Technician I is expected to perform a variety of basic technical duties in an operating room to assist the surgical team. Ideally, candidates should possess knowledge of surgical procedures, supply usage, inventory and supply ordering, and the ability to work in a fast-paced environment. The work schedule includes working rotating shifts, including nights, weekends, and holidays. In addition, Operating Room Technicians are required to be available in a stand-by status on a rotational basis and must be ready to begin surgical cases within 30 minutes of notification. Employment is contingent upon successfully passing a drug screening. The recruitment is being conducted to fill current and future full-time and part-time positions. Please visit the San Joaquin General Hospital at www.sjgeneral.org to learn more about the hospital. · Carries out the more routine surgical scrub duties according to recommended procedures. · Checks surgical schedules and assignments; prepares the operating room, supplies, and equipment. · Obtains extra supplies, instruments and equipment when needed during a surgical procedure. · Prepares preoperative sites and drapes patients according to established procedure to provide an ample sterile field. · Provides routine surgical scrub assistance and related technical support procedures according to recommended procedures; handles instruments, sponges, sutures, catheters, drains, and dressings in such a manner as to ensure medical and surgical asepsis and safety to the patient; assists in performing sponge, needle, and instrument counts. · Assists in the care, preparation, and maintenance of sterile and unsterile supplies; checks, cleans, and stores surgical instruments; organizes supplies for scheduled and emergency cases; stocks sterile supplies in operating room; assists in taking inventories of equipment and supplies. · Assists in application of casts; assembles and prepares setup for external fixation of fractures and application of casts. · Assists in lifting, positioning and transporting patients. Note: The following special requirements were approved by the Civil Service Commission on May 10, 2017. Education: Completion of an approved operating room technician training or program within the past five years which included completion of a minimum of 500 externship hours. Experience: One year performing sub-professional nursing or other patient care duties in an acute care hospital setting. Special Requirement: Operating Room Technicians are required to be available in Stand-By status as part of a rotation, and ready to start surgical cases within 30 minutes of notification. Offer of employment is contingent upon passing a drug screening test. Basic anatomy and physiology; basic nursing procedures, including principles of aseptic techniques and infection control; basic cardiopulmonary resuscitation; various types of instruments and supplies used in an inpatient hospital setting. Work under physical and mental stress for several hours; exercise a reasonable amount of manual dexterity in the handling of surgical instruments and supplies; lift and transport patients, supplies and equipment; understand and carry out instructions of medical and nursing staff, often under tense and emergency situations; maintain simple inventory records of surgical instruments and supplies; prepare used supplies for cleaning or disposal and order needed supplies; work effectively as a member of a specialized team. Mobility - constant standing for long periods of time; frequent walking required; occasional pushing/pulling; occasional bending/squatting; occasional stair climbing and crawling; Lifting - frequent lifting duties required of 5lbs; occasional lifting duties required of 5 to 70 lbs. ; occasional lifting/turning of heavy objects and/or people; Vision - constant reading, color perception, eye/hand coordination, depth perception, close up work and field of vision/peripheral; Dexterity - constant hearing and talking in person; Emotional/Psychological - constant concentration; occasional exposure to grief/ trauma and emergency situations; frequent decision making; occasional contact with hazardous materials; Environmental Conditions - frequent noise.